Here is the playlist from last Sunday’s Go Deep show on Moheak Radio. It airs every Sunday from 7-9p Pacific, 10p-12a Eastern, 3-5a Mondays GMT. Starting next week, the show will replay Wednesdays 10a-noon GMT for the benefit of our European listeners. Hourly links for streaming and downloading are just below. We welcome feedback on any fave tracks from these Go Deep shows. 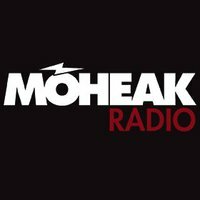 Here are links and the playlist from Sunday’s Go Deep show on Moheak Radio. It airs every Sunday from 7-9p Pacific, 10-midnight Eastern, 3-5a Mondays GMT. Hourly links are available for downloading or streaming. You can also hit up the SoundCloud link below the playlist. We welcome any input on fave tracks you hear on these Go Deep shows. Here are links and the playlist from last weekend’s Go Deep show on Moheak Radio. It airs every Sunday from 7-9p Pacific, 10-12a Eastern, 3-5a Mondays GMT. Hourly links are available for downloading or streaming. The best sound comes from hearing the show as it airs because it comes through the station processor, but this option is a close second. We welcome your feedback on any fave tracks on these Go Deep shows. Here is the playlist from last Sunday’s Go Deep show on Moheak Radio. It airs every Sunday from 7-9p Pacific, 10p-12a Eastern, 3-5a Mondays GMT. Hourly links for streaming and downloading are just below, or you can check out the SoundCloud link at the bottom of the playlist. We welcome feedback on any fave tracks from these Go Deep shows.